AppScale has joined the Canonical's Charm Partner Programme. AppScale is an open source PaaS that leverages the Google App Engine APIs. It allows devs to quickly focus on the business logic of the application and frees your ops from unwieldy software stacks. AppScale gives enterprises the freedom to run Google App Engine applications across all public and private clouds or on any virtual or physical infrastructure. “We’re really excited to see a new PaaS joining the program, especially when they have AppScale’s unique ability to move applications running on Google App Engine into the Chinese online market. Add to this the pure scale out design, and you have a winning PaaS for enterprises, and also for service providers looking to sell PaaS easily and efficiently,” said Sam Cozannet, Programme Manager for innovative cloud solutions. 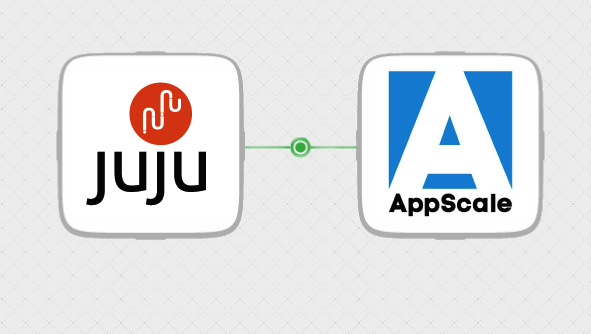 Canonical’s Charm Partner Programme helps solution providers make best use of Canonical’s cloud orchestration tool, Juju, enabling instant integration, scaling at the click of a button, simple to share blueprint deployments and an easy way to deliver solutions in minutes. Want to try out AppScale? Click below to deploy your first app on AppScale in less than 10 minutes.